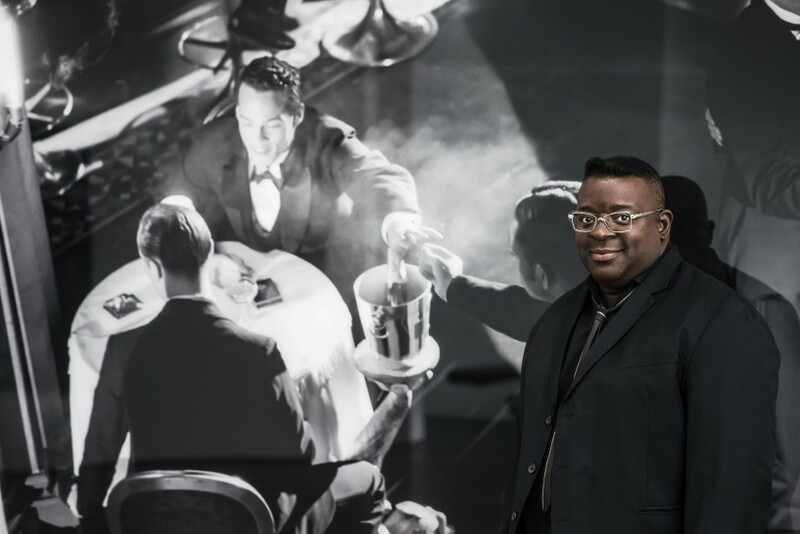 Isaac Julien is acclaimed for his fluent, arresting films and vibrant, inventive gallery installations. He came to prominence in the film world with his 1989 drama-documentary Looking for Langston, a lyrical exploration – and recreation – of the private world of poet, social activist, novelist, playwright, and columnist Langston Hughes and his fellow black artists and writers who formed the Harlem Renaissance during the 1920s. Over the past two decades Julien has made work largely, though not exclusively, for galleries and museums, using multi-screen installations to express fractured narratives exploring memory and desire. Julien’s major film installations include the seven-screen PLAYTIME (2014), which explores the dramatic and nuanced subject of financial capital; Ten Thousand Waves, 2010, an exploration of China’s ancient past and rapidly transforming present through a series of interlocking narratives; and Western Union: Small Boats (2007), for which he was recently awarded the Charles Wollaston Award for most distinguished work at the 2017 Royal Academy Summer Exhibition. Along with True North (2004), and Fantôme Afrique (2005), Western Union: Small Boats forms a trilogy of works that deal with themes of voyaging and cultural displacement on both a local and global scale. Earlier audio-visual installations include Baltimore (2003), which, in part through the stylisations of black action movies from the 1970s, looks at the histories, divisions and intersections of black and white cultures.